Join Brook Farm TC on Facebook! Please make sure that you unsubscribe from our emails and then re-subscribe and tick the box, on our home page, to ensure that you receive all news and information from Brook Farm EC. This is for the GDPR. Evening Showjumping will be indoors every Wednesday starting on 2nd January 2019 commencing at 5.30pm. Clear rounds will be held within the classes. 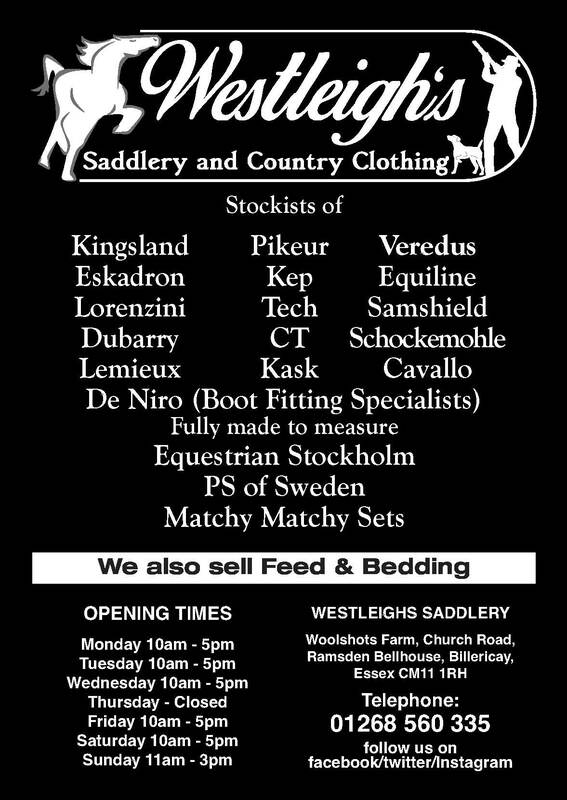 We would like to welcome Westleigh's Saddlery as one of our sponsors! We have recently used Day Equestrian to refurbish our Indoor and Warm up surfaces. 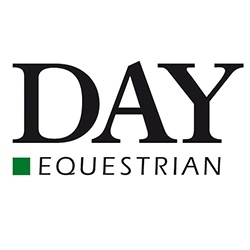 Day Equestrian have provided a friendly, professional and reliable service and we are pleased to be working with them. INDOOR ARENA WITH SHOWJUMPS AND OUTDOOR ARENA WITH DRESSAGE BOARDS! CHECK OUT THE CALENDAR FOR AVAILABILITY! CALL ZOE ON 07595 023326 TO MAKE YOUR BOOKING! ALL PRIZE MONEY FROM BS AND BD SHOWS MUST BE COLLECTED ON THE DAY OF THE SHOW. PRIZE MONEY WILL NO LONGER BE PAID AT A LATER DATE. Our fantastic oudoor arena (see below) is now available for individual hire; £20 per half hour for 2 horse/pony & £5 extra per horse/pony. 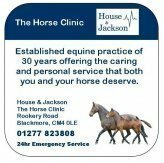 £40 per hour for 2 horse/pony & £10 extra per horse/pony. For school hire or clinics 48 hours cancellation notice is required in advance of hire date. If less than 48 hours is given then the full cost of the hire/clinic will be charged. We are now taking bookings for Riding Clubs shows/activities and for Horse/Pony Societies. Please telephone Zoe for more information on 07595 023326. The outdoor arena featuring the Olympic surface from Greenwich. Everyone has reported how great it is to ride in such a brilliant setting and on such a fantastic surface. Arenas are available with/without show jumps. Private hire £20 per hour includes two horses, extra horse £10 per hour per horse. If needed lights £10 per hour. £10 non-refundable booking fee required. The arenas and full facilities are also available for a whole days hire to Riding Clubs, Associations and Dog Shows. (ALL BREAKAGES MUST BE PAID FOR) Telephone Jackie 07595 023325.Arenas are available with/without show jumps. Private hire £20 per hour includes two horses, extra horse £10 per hour per horse. If needed lights £10 per hour. £10 non-refundable booking fee required. The arenas and full facilities are also available for a whole days hire to Riding Clubs, Associations and Dog Shows. (ALL BREAKAGES MUST BE PAID FOR) Telephone Jackie 07595 023325. The arena is available with/without show jumps. Private hire £15 per half hour includes two horses, extra horse £5. Private hire £25 per hour includes two horses, extra horse £10. If needed lights £10 per hour. The arenas and full facilities are also available for a whole days hire to Riding Clubs, Associations and Dog Shows. (ALL BREAKAGES MUST BE PAID FOR) Telephone Zoe 07595 023326.